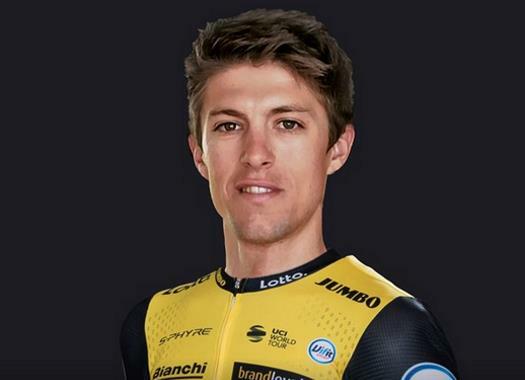 George Bennett will start a Grand Tour as team leader for the first time in his career. He already managed to grab a top-10 in the Vuelta of 2016, but there he started as Steven Kruijswijk's first lieutenant. Last year he started both the Tour and the Vuelta, but did not finish either race due to illness. Still last year was his breakthrough year and with a victory in the Amgen Tour of California, the Kiwi's first ever pro win was a big one. This year he is one of the outsiders for the podium and he has some teammates to support him. He shares the leadership for Team LottoNL-Jumbo with sprinter Danny van Poppel, but Robert Gesink, Koen Bouwman and Bert-Jan Lindeman are there for support in the mountains. Bennett hopes to get through the first two weeks without major problems. "I think from stage 14 onwards, that's when it really starts. You have 14, 15, and 16 is a time trial. And then 18,19 and 20 are really hard stages. There are a lot of difficulties in the first two weeks, but they’re sporadic and kind of flat stage with an uphill finish. There will be gaps but you won’t really see guys crack or lose the race there," Bennett says in an interview with Velon. Despite finishing top-10 in the 2016 Vuelta, Bennett has never rode for a GC for the full three weeks, with DNF's in his last two Grand Tours. "I just want to do my best three weeks of racing, all together," the New Zealander commented. "I've had great one weeks, last year in the Tour I had a great first two weeks, in the Vuelta the year before I had a great last week." His goal for this Giro is then "to put three weeks together without getting sick, without losing stupid time and then just seeing what my number is at the end." George Bennet's data, along with that of many other top riders, can be followed live during this Giro via the Velon app, website and twitter account. Also the VelonLive data will appear on-screen in the live television coverage and on the official Giro d’Italia website.